Whether you're a P-plater or a 70-year old looking to rent a car, CL Leasing does not discriminate and values strong interpersonal relationships with customers. Let CL Leasing surprise you with how simple and accommodating car rental in Singapore can be. Renting a car opens a large number of possibilities for you and your family. Whether it's a quick getaway vacation to Malaysia or a prolonged affair with your dream sports car, CL Leasing's bespoke rental packages will meet all your motoring needs and wants. 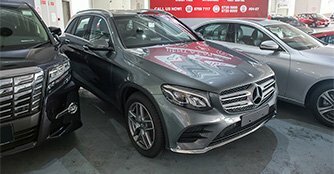 Who is CL Leasing and what services does it offer? The company started out in 2013 with just Japanese-made cars. The initial idea was to reduce to the number of breakdowns and thus reliability was at the forefront of the business model. Subsequently, the company ventured into continental cars as well as Korean- and American-made cars after they realised that customers demanded the option. "Some expats only want to rent cars made by Ford, perhaps out of familiarity," says 28-year old Edwin Koh, Managing Director of CL Leasing. 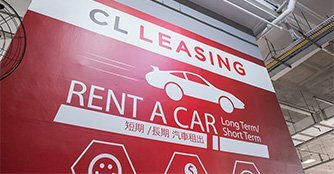 A total of seven units make up CL Leasing and its affiliates including new car showroom Car Lingual, repair and servicing workshop Car Laboratories and motor financing firm Chuan Lee Enterprises. Depending on your budget CL Leasing rents both second hand and brand new cars. All they need is your NRIC and driver's license; given your details you will be quoted a competitive price. What are some of the advantages of renting a car from CL Leasing? Whether you're looking to rent a car for one day or 10 years, CL Leasing is able to cater to the needs of individuals as well as companies. As loan restrictions remain high in Singapore along with repair and maintenance costs, which vary, customers of CL Leasing reap the benefits of rental and need not worry about any of the hassle that comes with owning a car. If anything happens, you can expect a replacement car within an hour should there be any breakdowns, at no extra cost. Should a car experience problems, it will be fixed at an authorised workshop with experienced technicians. From performance cars to everyday city mobiles, CL Leasing is able to give you the car of your dreams in just two weeks depending on availability. Whether you're looking for a Multi-Purpose Vehicle (MPV) like the Toyota Alphard or a mid-sized sedan like the Mazda3, CL Leasing has it in its fleet.